Be the first to share your favorite memory, photo or story of Carroll. This memorial page is dedicated for family, friends and future generations to celebrate the life of their loved one. Carroll J. Ross, Age 83 of Stevens Point, WI entered eternal life at his home Monday, March 18, 2019. After a relatively short struggle with frontal temporal dementia, with primary progressive aphasia, Carroll needed a rest, and has now found eternal peace. Carroll was born 28 March 1935 to Arthur Alois Ross and Christina Kathryn Bach. He was the fourth of 11 children. He was a hardworking, caring man who loved his family. He enjoyed visiting with family and friends, and could strike up a conversation with anyone at anytime. Woodworking, traveling with his wife, fishing in Canada & Alaska with his sons and fishing crew, card playing (cribbage and sheepshead) were things Carroll liked to do. His marriage to Marilyn A. Peissig took place on 6 July 1963 at Sacred Heart Catholic Church in Stetsonville, WI. They moved to Stevens Point after their marriage, and lived there for 56 years. Carroll served in the US Navy with duty aboard the USS Hancock Carrier as a member of the V2 Catapult Crew, launching jet planes and bringing them back on to the carrier. He was honorably discharged from the Navy, 23 January 1959 in Kingsville, TX to U.S. Naval Reserves. Carroll also served in the Army National Guard for three years (1952-1955). 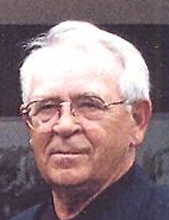 Before retirement, Carroll was self-employed in the home improvement and siding business for 46 years. In 1978 the couple ventured into the apartment rental business. Carroll also did appraising for several years. A Mass of Christian Burial for Carroll will be on Monday, March 25, 2019 at 11 a.m. at Holy Spirit Catholic Church, 838 Fremont Street, Stevens Point, WI, with Rev. Gerard Willger officiating. Family & Friends will gather at the church 9 AM - 11 AM until time of service. Internment will be in the Guardian Angel Cemetery, Stevens Point with full military honors. Carroll was preceded in death by his parents, brothers Eugene (Greta) Ross, and William Ross, and sisters Marie Doberstein, Patricia Saltz, and Rita Goshaw. Survivors include his wife Marilyn of 56 years, sons Patrick (Lori) Ross, Dallas, TX; Bradley (Annette) Ross, Atlanta, GA; and daughter Kelly (Jon) Tokarski of Chippewa Falls, WI, and two grandchildren Samuel and Alexander. Sisters: Elizabeth (Nick) Brackus, Boise, ID; Nancy (James) Gavin, Stevens Point, WI; Karen (Ismael) Soto, Oconomowac, WI. Brothers: James (Priscilla) Ross; Gerald (Bonnie) Ross, both of Stevens Point, WI. Carroll was a loving husband, father, grandfather, brother, uncle, and friend. He will be deeply missed by all who knew and loved him. The family would like to thank the staff and at St. Michaels IMC unit, and Copperleaf North Haven Senior Living for their loving care and support they provided to our family. Thanks also to Ministry Hospice - especially Patty, Terri, Marit, and Megan. To send flowers or a remembrance gift to the family of Carroll J. Ross, please visit our Tribute Store. "Email Address" would like to share the life celebration of Carroll J. Ross. Click on the "link" to go to share a favorite memory or leave a condolence message for the family.